Apartment Therapy's Bazaar App - Apartment Therapy's Bazaar. Browse high-quality designer furnishings on-the-go! 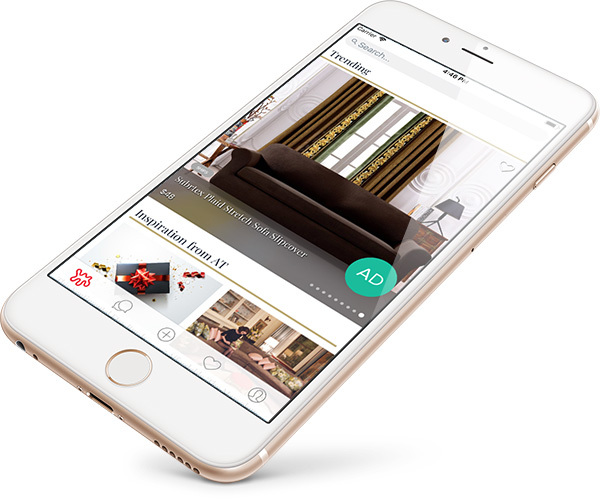 Shop Apartment Therapy’s Bazaar on iPhone and Android devices. Browse our latest feed or filter by Category, Brand/Designer, Market, Style, Materials, Distance, Price, and Delivery Options. Creating a listing is as easy as snapping a photo and adding some information. Manage your listings and Store profile under member settings. Easily send, read and respond to messages in your account Inbox. Set up push notifications for instantaneous updates! Click the heart to save listings to your Favorites and manage them at your fingerprints. Transact with our integrated Stripe Payments Service to safely and securely send and collect payment!